Nothing says fall quite like apples and cinnamon! 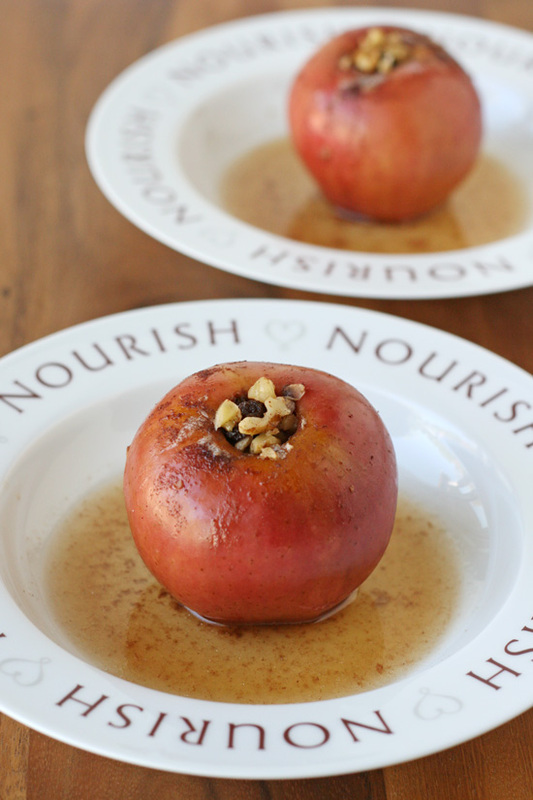 This classic and delicious Baked Apples Recipe is a perfect treat to kick off the fall season! My mom often made baked apples when I was growing up. They are so simple to make, and a quite healthy treat (if you can enjoy them without ice cream!). Baked apples make a nice dessert, but I love them for breakfast too! I was inspired to share this recipe when I was recently sent some beautiful bowls (pictured) from Pampered Chef. I hope you’re all familiar with Pampered Chef. Pampered Chef is a direct seller of high quality kitchen tools, cookware and serving ware. You can purchase their products on-line or at home parties hosted by Pampered Chef consultants. I’ve been to several Pampered Chef parties over the years and I’m always happy to attend! Each time I discover a new product I love! Some of my most used and beloved kitchen items are from Pampered Chef! A few of my personal favorites are my Stoneware Bar Pan, my Zester (seriously the best citrus zester ever! ), and my Cookie Scoops (I have the small and medium). Pampered Chef has asked me to help spread the word about their Round-Up from the Heart campaign. Since 1991 Pampered Chef has been encouraging their customers to “round-up” their product order to the nearest dollar. Funds are distributed to Feeding America® and are used in the community where the donations originated – making Round-Up from the Heart a national campaign with a local impact. As an extension of the Round-Up from the Heart campaign, Pampered Chef has designed a limited edition Nourish Soup Bowl. For each bowl purchased, Pampered Chef contributes $2 to Feeding America®. In addition to the funds being raised with each sale of the Nourish Soup Bowls, Pampered Chef hopes to use this “Feeding Families, One Bowl at a Time” initiative to raise awareness of the problem of hunger in our communities. As families enjoy meals in these beautiful bowls, the hope is that conversations will be sparked about the importance of helping others, and living with a heart of gratitude. Baked apples are simple and delicious treat. Top with ice cream or whipped cream to make them extra special! 2. In a small bowl add sugar, cinnamon, nuts and raisins and stir to combine. 3. Prepare apples by washing well and cutting out just the core. An apple corer is very helpful if you have one. 4. Once the cores are removed, place apples into a baking dish (9"x9" or similar). Stuff each apple with sugar mixture, pressing as much into the cavity as you are able. Any excess mixture can just be sprinkled into the bottom of the dish. 5. Cut the Tablespoon of butter into 4 or 6 pieces and press a piece of butter onto the top of each filled apple (as pictured in blog post). 6. Pour very hot/boiling water into the baking dish, pouring around the apples, not directly on top of the apples. 7. Bake in preheated oven for 30-40 minutes until apples are tender, but not mushy. 8. Allow to cool slightly, then enjoy as is or topped with whipped cream or vanilla ice cream. Any apples leftover can be stored in the refrigerator and heated in the microwave the following day. 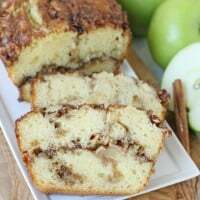 Apple notes- Select apples that are good for baking such as Fuji, Honeycrisp, Jonagold or Gala. Supply notes- I used an apple corer from Pampered Chef. As you enjoy meals with your family this week, cherish the time together as well as the food. Be sure to connect with The Pampered Chef on Facebook, Twitter, & Pinterest for additional news, sales, and promotions. You can also purchase the limited edition Nourish Soup Bowls, or other charitable products like their Round Up From The Heart Trivets which also benefit Feeding America®. Disclosure – I was provided products and/or payment from Pampered Chef in exchange for creating this recipe and sharing their products. I only share products and brands on my site that I use and love. All images, text and opinions are my own. 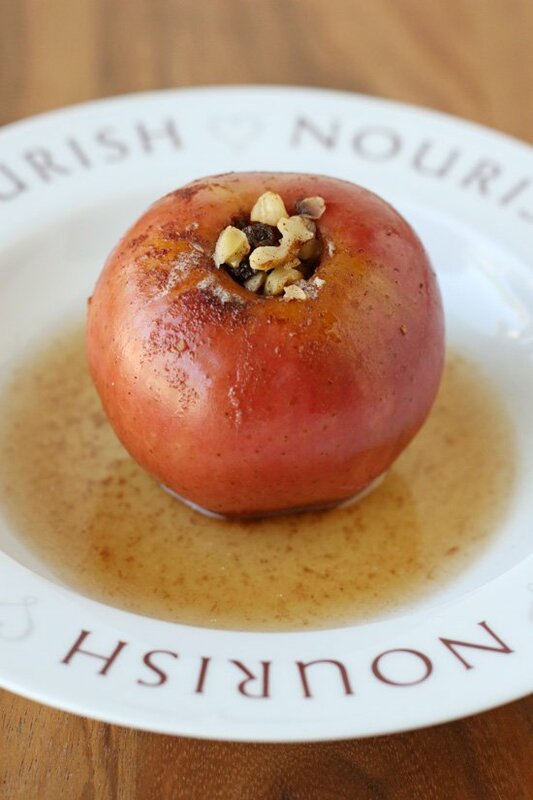 Baked apples are perfect for fall! These look delicious! I have several PC products, too. Love their lidded prep bowls! 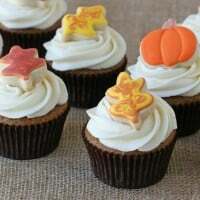 What a great fall recipe! 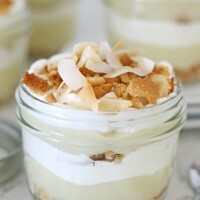 I always appreciate healthier desert recipes! Mmmmm, I forgot all about these. These were so yummy growing up. I have never made them as an adult. I will have to give it a try. Love these gorgeous apples — they were a favorite of mine growing up too!! 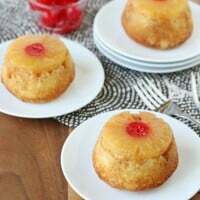 I just love baked apples and these look DELISH!!! these look amazing! i have to try this! I absolutely love baked apples in the fall! They are the perfect treat! 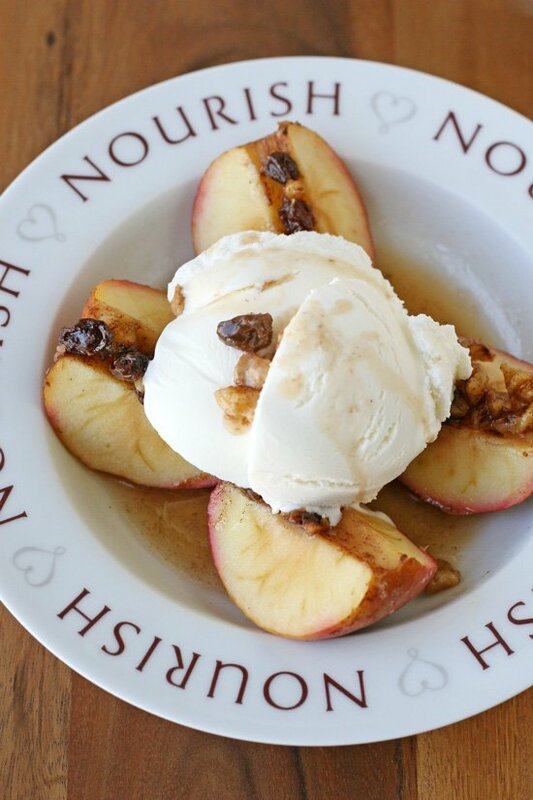 I love baked apples and I don’t think I’ve ever tried them with ice cream (how have I not tried them with ice cream?!). Putting this down as something to try after I visit Apple Hill! You need to make lots more of these everyone loves them hot or cold. This screams fall! 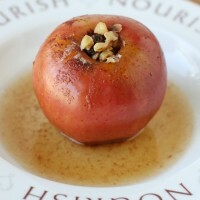 Must make this baked apple recipe soon. It’s my favorite time of the year.Just finished a crumble with ice cream, but this looks so much more fun! We have just picked more apples from our tree and I was ready for some recipe ideas so thank you for these. I wish I had one of these delicious baked apples in front of me right now! Yum!! I’ve never tried baked apples! They sound like a healtheir apple pie though (without crust) and they look absolutely beautiful! I have never had baked apples so decided to give this a try. I decided to make only two as I just wanted to try and see how they turned out. I set the timer on the oven to 30 mins and when I checked on them they were overbaked. Sigh. I should have set the timer to 15 mins and checked on it since I was baking two versus the six as in the recipe. I will try again over the weekend. The pictures look great and it sounds and looks delicious. Bake with or without the lid?